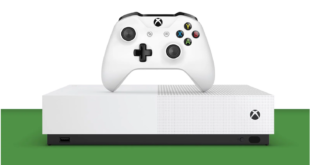 Microsoft has announced yet more Xbox One S hardware bundles for the UK, and this time they feature limited edition coloured versions of the machine. A 500GB FIFA 17 bundle in Storm Grey will be available for 249.99 exclusively at GAME, while a Deep Blue version will be exclusive to Argos. There are also Battlefield 1 bundles for both consoles, although these are GAME exclusives. These SKUs join the Custom Red Gears of War 4 and assorted Robot White releases.